The P G Department of PESIAMS today has successfully organized One Day Intercollegiate Workshop on 15-03-2019 on one of the difficult concepts titled Issues and Challenges in IndAS and IFRS which is the paper for Final Year M.Com students. The Department has made an unique attempt of combining both Practicing Chartered Accountant and Senior Academician to handle two technical sessions. Mr. Ganapathi Hegde, Chartered Accountant was the resource person for I Technical Session in the morning and provided An Overview of IndAs and IFRS with practical instances. 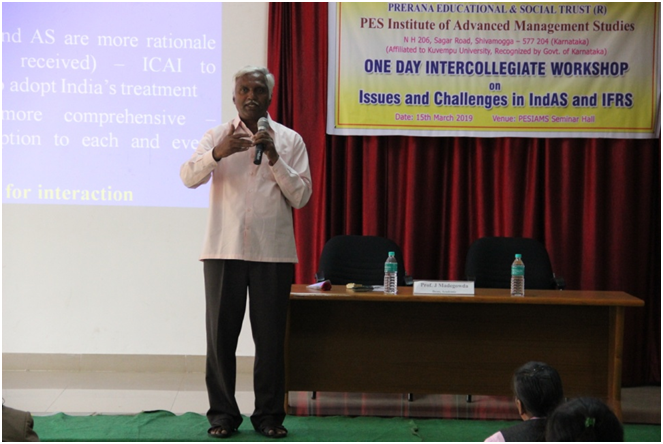 In the II Technical Session Senior and well known Academician Prof. J Madegowda was the resource person. He dealt with IndAS and IFRS – Carve Outs. 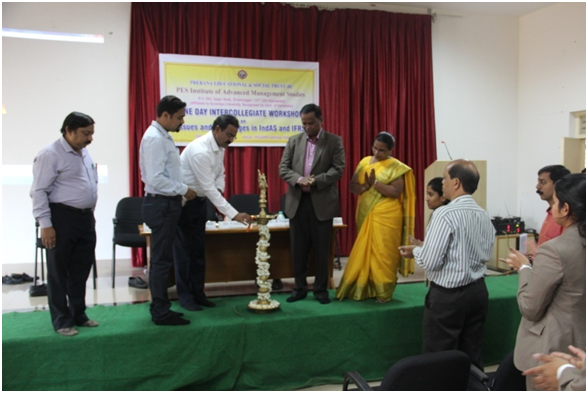 The workshop was inaugurated by Dr. S Venkatesh, Professor & Chairman of P G Department of Studies and Research in Commerce, Kuvempu University, Shankaraghatta. He called upon the students to acquire more knowledge in the Accounting System in the globalised age as it is inevitable. The inaugural function was presided over by Dr. R Nagaraja, CCA PES Trust. 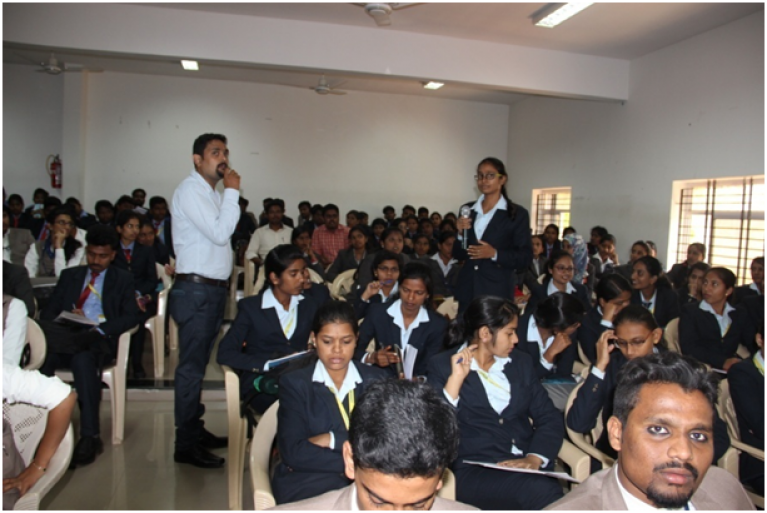 He cautioned the students to keep updated with the concept which is very much essential to get job opportunities in the relevant field. The valedictory Session was held at 4.30 PM where in Dr. R. Nagaraja, CCA PES Trust distributed the certificates for the participants. Dr. K Sailatha, Principal of PESIAMS, Teaching Staff of P G Department of Commerce, PESIAMS, the Teaching Staff of Dept. of MBA, PESITM were present in the function.